Pumpkin patches, haunted houses and fall foliage tours you need to experience. Formerly the Applewood Orchard, Apple Dave’s Orchards is a family tradition for many with some of the best apple picking around during the month of September. In October, Apple Dave’s is a great spot to pick up a pumpkin and enjoy a wagon ride or puppet show with the kids. There’s never a lack of things to do here with activities like face painting, live music and delicious treats like ice cream and fresh apple doughnuts. No admission, parking or entertainment fees makes this deal even sweeter. Fly Creek Cider Mill & Orchard is located just minutes from Cooperstown and brags a long history of cider-making. 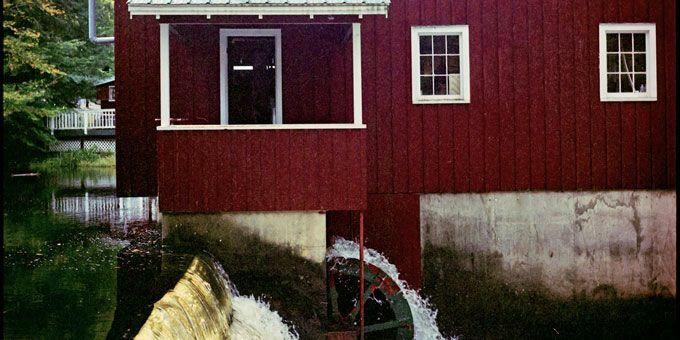 This historic water-powered cider mill is home to much more than just delicious cider. (Although that in itself is a great reason to go!) 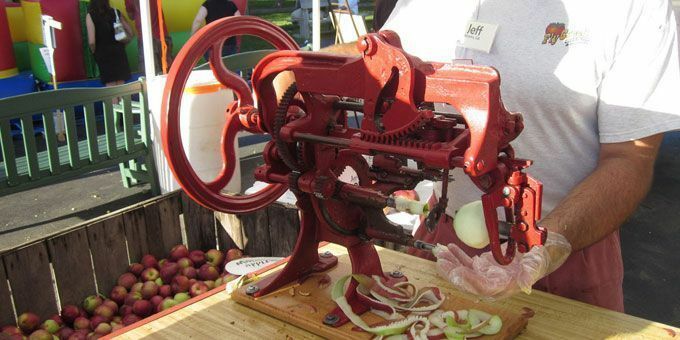 Head to the cider mill with your family and enjoy a fun-filled day filled with farm-fresh food, a self-guided tour of the cider mill, Tractorland and a cool display of vintage John Deere equipment. Fly Creek Cider Mill & Orchard also hosts several fun events year round, including Apple Salsa Days (Sept. 12 and Oct. 10), Duck Derby Weekend (Sept. 26-27) and Ciderfest (Oct. 10-11). This cider mill is a historic gem, featuring a 100-year-old water wheel that powers the mill as well as New York’s only double walkway, drive through, covered bridge. The Eagle Mills Cider Mill & Family Fun Park is also home to a plethora of fantastic family activities too. Stop by and hop on the Eagle Mills Train or Pedal Cart Track, mine for gemstones and dig for fossils and dinosaur bones. Afterward, enjoy a relaxing walk on the nature trail and grab a scoop of delicious ice cream or a freshly baked turnover. If you and the family are ready for a bite to eat, stop by Burrville Cider Mill for a freshly made lunch at the diner in Steiner’s General Store. The mill was built in 1801, making it one of Jefferson County’s oldest establishments. It has been home to a functioning cider press since the 1800’s and more than 200 years of cider-making ensures you’ll find some of the best tasting cider around. Self guided tours of the mill are also encouraged and if you head out onto the decks, you’ll find a gorgeous waterfall worth a thousand pictures. The Cider Mill in Endicott is worth a visit each and every year with all the wonderful sights and sounds of autumn. 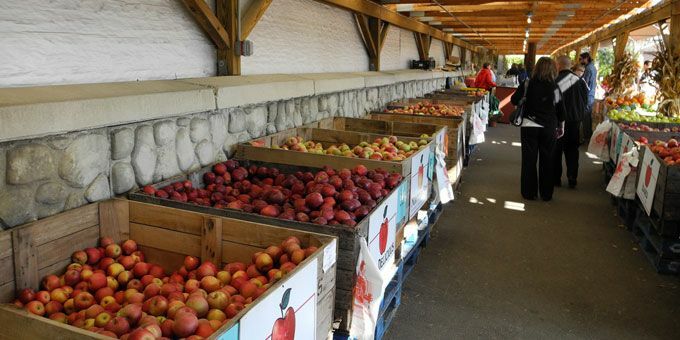 The mill is home to a Farmstand, which offers an incredible selection of New York’s finest varieties of apples, fresh mums, pumpkins, Indian corn and more. Of course, the freshly made goodies like cider, doughnuts and candy apples at the Cider Mill will not disappoint either. Stop by and watch the cider-making process or enjoy a live professional theatre performance at the Cider Mill Playhouse. Halloween in the Hudson Valley is like none other and the Festival of Witches in Sleepy Hollow is just one of the much anticipated events that makes it so special. This event runs from October 3-31 and features everything from ghost hunting and belly dancing, to workshops, lectures and handmade wares from local vendors. Visit with Krystal Madison-Corvin, the witch of Sleepy Hollow, contact loved ones who have passed on at The Psychic Fair (October 24-25), or dance the night away at the Sleepy Hollow Witch’s Halloween Ball on October 30. While you’re there, you might even learn about Sleepy Hollow’s other legend: Hulda, a Bohemian witch who immigrated to New York and left a legacy to be celebrated. Celebrate autumn with a variety of family activities at the Norwich Pumpkin Festival. This much anticipated event takes place in charming downtown Norwich and features haunted houses, a Halloween parade, hayrides, fireworks and more. 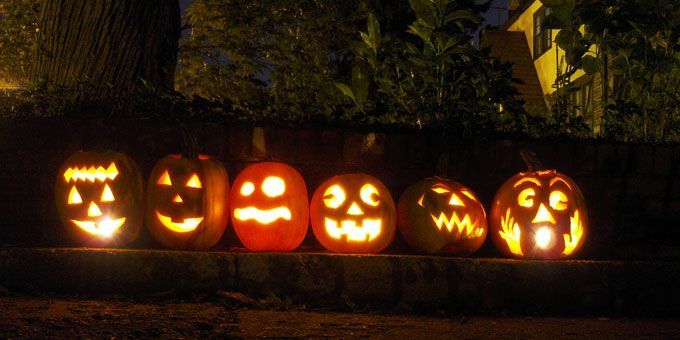 Wait until night falls and you’ll be amazed by the sight of thousands of beautifully lit jack-o’-lanterns on display! 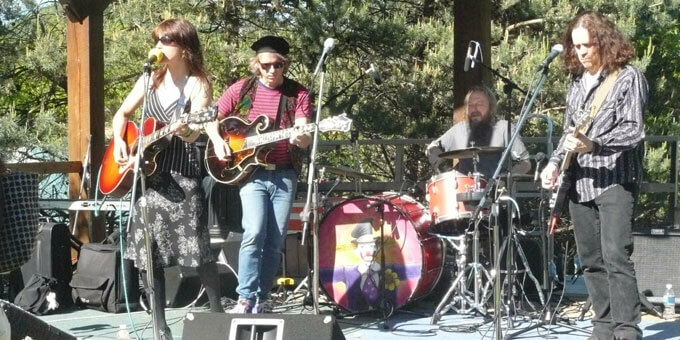 This free event has been a community favorite for years and will celebrate its 17th festival this year October 23-24. Deemed the No. 1 Festival in Ontario County, the Naples Grape Festival is a fantastic time filled with food, fine arts and crafts, regional music and of course, wonderful wine. One thing this festival has to offer than many others don’t is the unbelievably delicious grape pie. 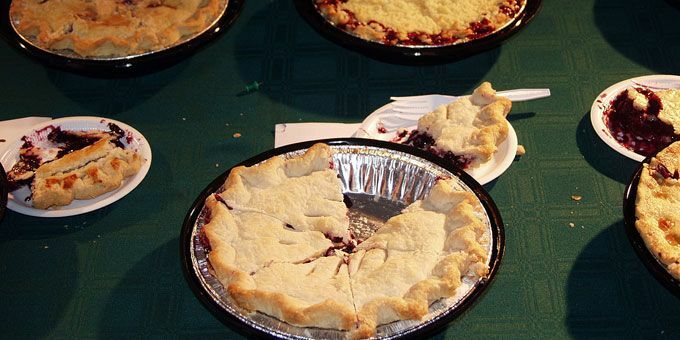 The Grape Pie Contest draws out some of the area’s most talented pie-makers and the winners are bakers of all ages. Additionally, don’t forget to check out the Wine Tasting Tent, where you’ll find samples of quality wines from wineries and microbreweries from all over the Finger Lakes Region. This year’s festival is scheduled for September 26-27. The Ellicottville Fall Festival is the oldest and largest festival in town, with a variety of activities like carnival rides, live entertainment and an arts and crafts show. If you get hungry, browse a diverse selection of finger foods and delicious plates, served by local food vendors. Surrounded by gorgeous tree-topped hills, the area comes to life each autumn with warm, rich colors and a hint of cool in the air. This fall festival is one you don’t want to miss, so join tens of thousands of others at the Ellicottville Fall Festival October 10-11. The Warwick Applefest is Orange County’s largest festival and has even been named one of the top 100 events in the country. This one-day event attracts more than 30,000 visitors annually with more than 200 craft vendors, music and live entertainment on several different stages, a carnival with rides for the kids, fresh produce at the local Farmers’ Market and more. The Warwick Applefest is fun for all ages and it’s definitely one you don’t want to miss. Check it out, Sunday, October 4. For the ultimate foodie experience in the Hudson Valley, the Taste of the Hudson Valley is the place to be. Held at The Grandview, an elegant event venue on the Hudson River, this annual festival features almost 100 different food and wine pairings. Treat your tastebuds to some of the best dishes in the area from fantastic restaurants like Hyde Park Brewing Company, Sugar Rush Cupcakes, Aroma Thyme Bistro and many more on Sunday, November 1. This third generation farm family knows the value of family time and encourages you and your kids to head out to the farm for one of the best pick-your-own pumpkin patches around. The pick your own fields at Dykeman Farm Market has been a family tradition since 1974 and they are open the last weekend in September and every weekend in October. Come on out, enjoy the children’s activity tent and pick out the best looking pumpkin you can find. Take some freshly harvested tomatoes and sweet corn home with you too! Autumn is the perfect time to visit Stuart’s Fruit Farm, with family oriented activities like apple picking, hayrides and a pumpkin patch. Choose from an assortment of fresh produce, including more than a dozen varieties of apples and pre-picked or pick-your-own pumpkins, gourds and Indian corn. Don’t forget to grab a fresh baked pie or a bag of warm, apple cider doughnuts for the road! 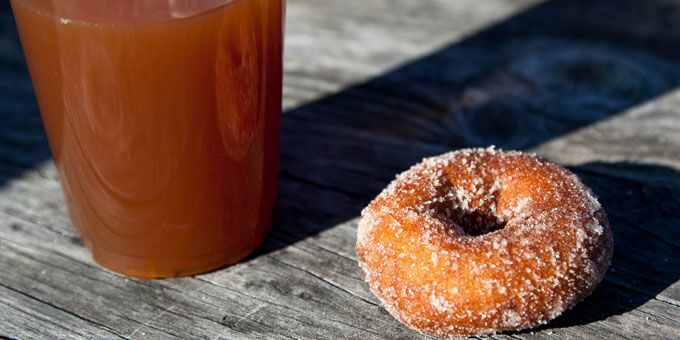 No calorie counting is allowed at Indian Ladder Farms where the sugar-dusted cider doughnuts are freshly made every day. Stop by this charming destination, just a half hour west of Albany, where you can pick your own produce like berries and apples, all while enjoying a mild autumn day. The PYO season begins September 1 at Indian Ladder Farms and the Farm Market & Gift Shop onsite offers household décor, lotions candles, homesteading books and more, all produced right here in the U.S. and New York. Liberty Ridge Farm’s harvest season begins September 19 and thousands of visitors stop by to enjoy the Fall Festival activities. There’s plenty of food, pumpkins, live hillbilly bluegrass and more, including the Albany Capital Region’s biggest and original corn maze! Make sure and bring the kids back for the weekend too. Every Friday and Saturday night in October, the farm transforms into a harvest haunt, with eerie characters and nightmarish sights around every corner. The haunted festivities are recommended for ages 10 and up. The interactive corn maze puzzle is the main event of the Ellms Family Farm in the fall, but there is a host of other things to see and do too. Ideal for families, this farm offers pick-your-own pumpkins, scenic trolley rides, a farm market and the fun Jumping Pillow, plus much much more. So whether you choose to hop on a hay ride, feed the goats or make your way through the exciting corn maze, your family is guaranteed to have a memorable and fun experience. You don’t have to sign up for an organized fall foliage tour to enjoy the gorgeous autumn scenery of The Catskills and the Hudson Valley. Grab some snacks, pile into the car and head off on a breathtaking drive you’ll never forget. Cruise along Highway 9 through the Hudson River Valley before jumping out of for a stretch at Bear Mountain State Park. A drive through Harriman State Park also provides stunning displays of maple and oak trees soaked in the warm, rich colors of fall. Make sure to pack your camera because you’ll find magazine-worthy shots around every corner. There are plenty of ways to enjoy the gorgeous scenery of upstate New York while it’s coated in warm fall colors, but if you’re a serious biker, Escapades Bike Tours has the perfect venture for you. The Autumn Along the Hudson tour October 4-9 offers bikers the opportunity to experience the Walkway Over the Hudson, the longest pedestrian and bike bridge in the world. Take in the rich autumn colors along the Hudson River as you visit historic sites along the way, including the homes of Franklin Eleanor Roosevelt and artist Frederic Church. You’ll also enjoy cozy lodging at several country inns. 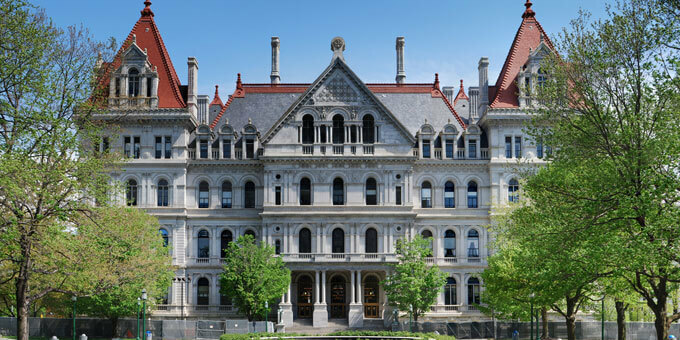 The tour package includes six incredible days of biking and exploration for an all-encompassing bike tour of the Hudson River area. The Cooperstown and Charlotte Valley Railroad offer fall foliage train rides that make for a fantastic family outing. Climb aboard and enjoy a scenic trip through the Susquehanna River Valley, which boasts breathtaking views across farm fields and the brightly-colored fall foliage of the area’s lush forests. Food and beverages are available for sale on the train and the two and a half hour ride is ideal for all ages. Reservations are not required, but definitely encouraged. Get a bird’s eye view of the fall scenery with an Above the Clouds hot air balloon ride. This one-of-a-kind adventure is one your family surely won’t ever forget. Soar high above the rolling hills spotted with charming towns and sparkling waterways or enjoy a new perspective of the area’s wildlife. On clear days, you might even catch a glimpse of the New York City skyline. All of the pilots are FAA certified and undergo a bi-annual safety flight review so you never have to worry about your safety with this company. Just sit back and fly carefree. Experience the beautiful autumn foliage from the comfort of an enclosed pontoon boat with Lake Placid Marina & Boat Tours. 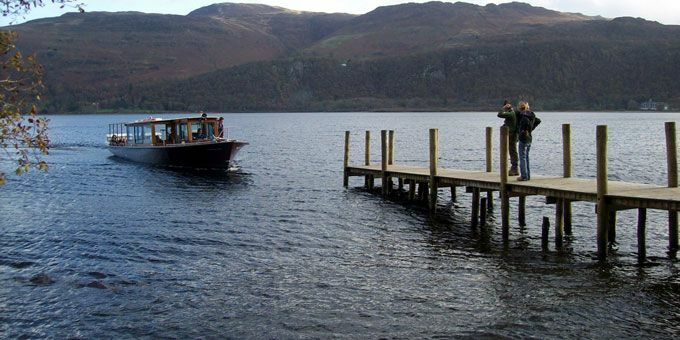 These boat tours are perfect for anyone wanting to get a glimpse of the stunning beauty offered by the Adirondacks and Whiteface Mountain while learning about the area. This hour-long narrated tour travels 16 miles of the magnificent Lake Placid and highlights the beautiful mansions along the shoreline, the history of the area and the magnificent birds and other creatures that call the lake home.The tours run daily up through October 12 and are ideal for any age. The Headless Horseman Hayrides and Haunted Houses is situated on a 250-year-old farm in the historic haunted Hudson Valley. This nightmarish adventure has been deemed one of the Top 10 Haunted Houses in America in 2014 by Yahoo! and was featured on both the Today Show and the Weather Channel. Guests can explore seven haunted attractions including The Lunar Motel, Dark Harvest Corn Maze, Dr. Dark’s Black Spider Sideshow, Glutton’s Diner & Slaughter House, Night Shade Nursery & Greenhouse and Slither’s Pet Shop as well as five themed gift shops and four different cafes. 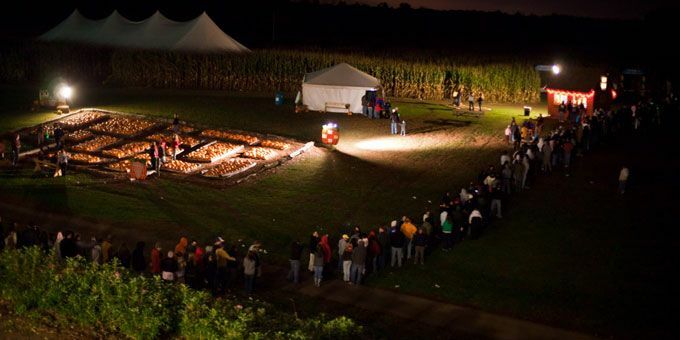 The Great Jack O’Lantern Blaze is one of the most anticipated fall events in this historic Hudson River Town. More than 7,000 individually carved jack-o’-lanterns line the walkways forming creative displays of prehistoric dinosaurs, witches, gigantic spiders, terrifying sea serpents and so much more. 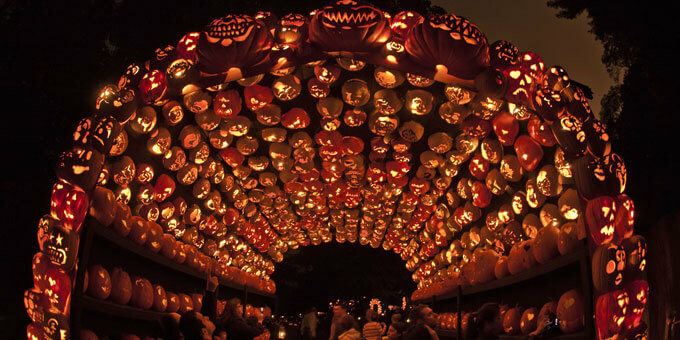 You won’t believe your eyes as you make your way through the thousands of glowing jack-o’-lanterns. There’s plenty of fun for the whole family here, with a glowing Pumpkin Planetarium, a circus train featuring colorful clowns and animals and flying pumpkin ghosts in the sky. Who knows, you might even have a run-in with the infamous headless horseman too. Last year’s event was sold out every night, make sure to purchase your tickets in advance. Another creepy haunted house attraction for those who like the chills and thrills of Halloween, District of the Dead is an absolute spine-chilling and unforgettable experience. While not recommended for young children, teens and young adults will get a thrill from this interactive haunted experience featuring several newly designed twisted attractions. A downsize from last year’s attractions, the staff is taking a “quality over quantity” approach with a show that’s scarier than ever. 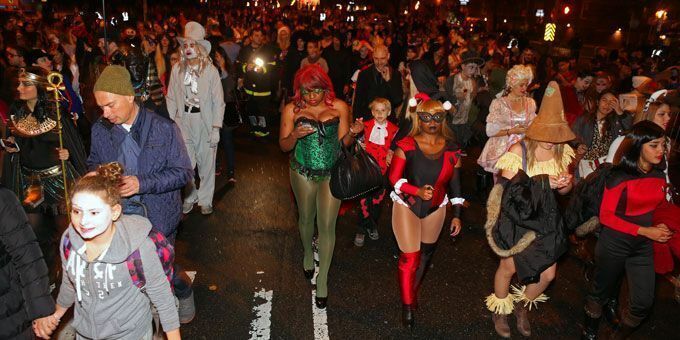 The Hudson Halloween Parade features a host of kid-friendly, fun Halloween activities. Kick off the fun by trick-or-treating through the streets of Hudson with participating businesses. Once the kids are stocked up on candy, head to the annual Hudson Halloween Parade and march with other kids and parents in costume. Close out the night with a costume contest and the sugar rush of a lifetime. This year’s event is scheduled for Sunday, October 25 and the festivities begin at 3 p.m.